As a certified UL control shop, we have the unique ability to build and label our control panels to meet your standard--the UL 508A standard. When you buy from A1X Automation, you can have the confidence that we have the in-house certification to label that application UL 508A. Not all panel shops have a UL capability, but at A1X, we have the experience, resources, and engineering team to meet the UL 508A guidelines every time. In many cases, a client will come to us with an idea, design, or application, with specific voltage and electrical requirements. Our electrical engineers will come up with a product that not only satisfies the client’s specific needs, but also has the proper voltage, size, amperage, backups, and overload protections in place. Our electrical enclosures do more than just comply with an accepted safety standard; we work with the client to make sure his industry-specific need is being met, in the right way, and with a results-oriented mindset. 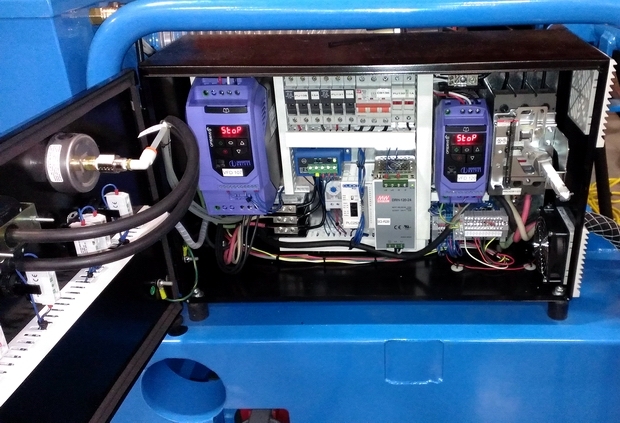 We have experience in a vast range of industries, from contract manufacturing to waster water controls; from conveyor controls to programmable logic controllers; from material handling and refrigeration to oil and gas compressors; from industrial automation to pump panel control. Whatever the industry, whatever the need, you can trust the quality of the work we do at MCI. Our motto—meeting our customers’ requirements, every requirement, every time—guides what we do as panel control systems and industrial panel builders. It’s part of what makes us different, and part of why we consistently manufacture our control panels to the UL 508A listing. A1X Automation personnel have received training from Underwriters Laboratories, and undergo quarterly UL inspections of the control panels that we produce. As a fully licensed UL Panel shop we specialize in designing and building a custom panel to fit your needs. We can take your design and turn it into volume production or take a set of specifications and turn it into a one-off custom enclosure.